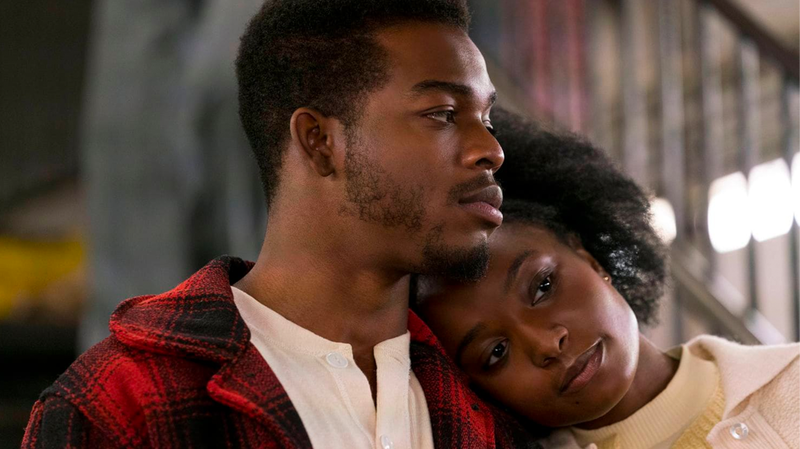 Released this Valentine’s Day, If Beale Street Could Talk is a romance film with a social slant. In its interweaving stories, it shows the love and the loss of its main couple, though this is a film that’s just as in love with itself as they are with each other. Tish (KiKi Layne) and Fonny (Stephan James) are very much in love with one another, as the film continuously observes. The first scene is a delightfully autumnal moment for them, walking through the park, arm in arm, talking a little and smiling at each other a lot. Their love is very much at the pinpoint centre of this film, though more attention and screen time is spent on Tish and her plight to absolve her wrongfully accused and imprisoned boyfriend, all the while carrying their baby. It’s certainly an earnest film, one that is overflowing with passion in its sumptuous colour palettes and grandiose music, making it a feast for the eyes and ears. But all the technical astonishments, along with the strength of the acting and the conviction of its portrayed love, don’t elevate this sloppy work beyond its threadbare story. A story so embedded with its social justice theme that it also gets conveyed as simplistic. The dual narratives show the back-and-forths between the head-over-heels emotions of their burgeoning romance and the stresses of their predicament, trying to contrast the light and the dark in the broadest of strokes, but this unnecessary use of a non-linear format (so unnecessarily popular these days) disrupt this on-screen romance and make it harder to be involved with. Even the best scene, when Tish reveals her pregnancy to her family and then Fonny’s family is brought in for the “celebrations”, is filled with all sorts of precise tensions, yet some of the novelistic dialogue comes across as too stilted. Based on the James Baldwin novel and directed by Barry Jenkins (Moonlight), there’s both a power and exhaustion here that will either sweep audiences off their feet or have them rolling their eyes over and over. If Beale Street Could Talk is a personally made work that needed more gestation in either its writing, filming, or editing stages to make it really hit home as a romance-drama to fall in love with.